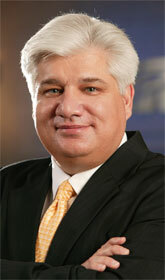 Mike Lazaridis founded BlackBerry maker Research In Motion (RIM) while still a student at the University of Waterloo, a decision which led him to drop out of school just two months before graduation. A noted philanthropist in science and computing projects, Lazaridis is the driving force behind RIM’s technology and innovation. The firm has carved itself a niche in the enterprise space as the mobile email platform of choice. But more recently RIM has been trying to shed its stuffy corporate image and go after the volume of the wider consumer market with models such as the BlackBerry Curve, the Bold and the touch-screen Storm. Smartphone sales are increasing, even as global mobile handset shipments decline, with a strong performance by RIM demonstrating that services are instrumental to the success of the smartphone space. At the end of May 2009, the total number of BlackBerry subscribers worldwide was approximately 28.5 million. RIM shipped around 7.8 million devices during the three months ended May 30, 2009 and added 3.8 million new BlackBerry subscribers in the same period. In 2006, the company had a brush with death which was only averted when RIM coughed up $612.5m to put an end to four years’ of court battles and avoid a possible shutdown of the BlackBerry service by settling a patent dispute with NTP. As Lazaridis steers RIM into the consumer space—which is contested rather more fiercely than the corporate sector—he is going to have to ensure that he maintains some kind of USP. Whether the mobile email service will prove sufficient in this market remains to be seen and Lazaridis will be keen to protect his legacy successes as other handset vendors push for a share of the high-margin enterprise segment that RIM has made its own.